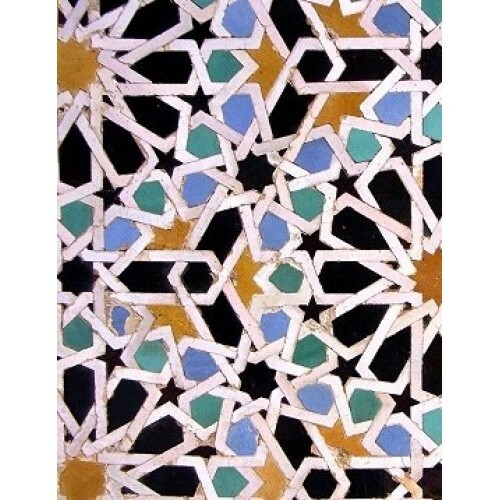 This type of tile work is called “Zellij,” it is in the Moroccan style and is mainly found in Fez. Zellij is comprised of interlocked shapes, with the number 5 being very prevalent (pentagons, 5 and 10 point stars, 5 colors). The number 5 is a significant number in Islam, there are 5 pillars of faith, 5 prayer times each day, and the hamsa (the Arabic word for 5) is used as an amulet for protection from evil. Properly executing zellij designs requires steadfast attention to detail and strict adherence to mathematical calculations. 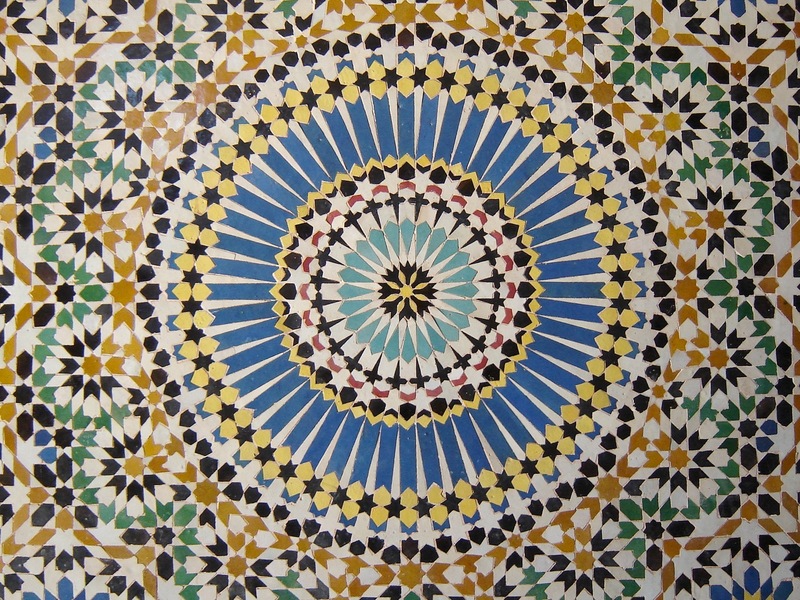 Thanks to measures taken by the Moroccan government, this technique has been preserved, and many capable Moroccan artisans remain to perpetuate the craft. In fact, Moroccan artisans, renowned for their skill, are often hired throughout the Middle East to undertake restoration projects. Artisans from Fez were hired to recreate a traditional Moroccan court within the Metropolitan Museum of Art in New York when it remodeled its Islamic Art wing in 2011. 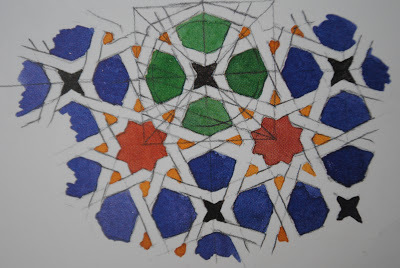 The result is an example of the highest level of Islamic craft possible today, created within the walls of a museum, and available for all to appreciate.